We are thrilled to announce that our site manager Ben Douthwaite has been shortlisted for the LABC Regional Site Manager Awards 2018. 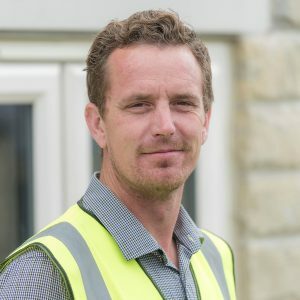 The award nomination recognises his outstanding work on at The Meadows at Spennithorne, a development of 13 uniquely designed properties near Leyburn. These properties have proved incredibly popular and making the shortlist is a testament to the great energy and dedication that Ben has brought to the project. The 2018 LABC Building Excellence Awards are the largest business awards in the building control sector. The awards make sure that those who go the extra mile are not forgotten about and are recognised for the time and effort they put into the business. Nominees are selected by the LABC Warranty Inspectors who visit the sites twice a week to check on the building process. The judging criteria deal with how the nominees dealt with obstacles and how they create incredible solutions for the problems that they face. We wish Ben the best of luck and we are very proud of him for being nominated. The ceremony will take place on Wednesday 13th June.